augmented reality Archives - Touch Display Research, Inc.
May 31, 2018, By Jennifer Colegrove Ph.D. Principal Analyst, Touch Display Research Inc. I just returned from AWE (Augmented World Expo) USA 2018 conference. AWE is the largest event dedicated to AR, VR and wearable technologies. Augmented reality and virtual reality is expanding in both enterprise and consumer market. Hundreds of enterprises are already using AR/VR and AI to help with saving cost. Consumer market is also gearing up with a dozen applications showing at this year’s AWE exhibition. Investment to the AR/VR and AI are accelerating. Human machine interface (HMI) still need improvement. We are still not there yet. The combination of several sensor fusions are needed. 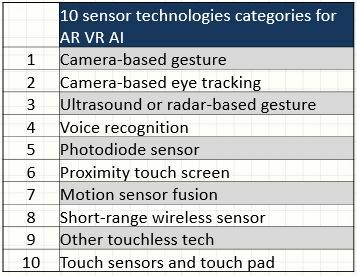 There are over 20 types of sensor technologies are used for augmented reality (AR), virtual reality (VR), and artificial intelligence (AI) applications. 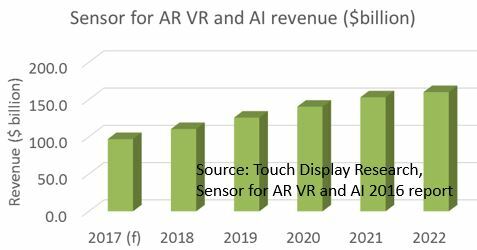 Touch Display Research forecasts that sensors for AR, VR, and AI market will reach $160 billion in 2022. More analysis and review can be found in the “Touch and Emerging Display monthly report” June 2018 report. This entry was posted in Displays and tagged augmented reality, AWE 2018, HMI, sensors, virtual reality on May 31, 2018 by jennycolegrove. Dr. Jennifer Colegrove recently contributed two articles at SEMI’s website. If you are interested, here are the links to SEMI’s website. 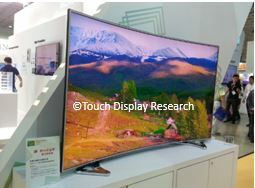 Touch Display Research Inc. is a member of SEMI. 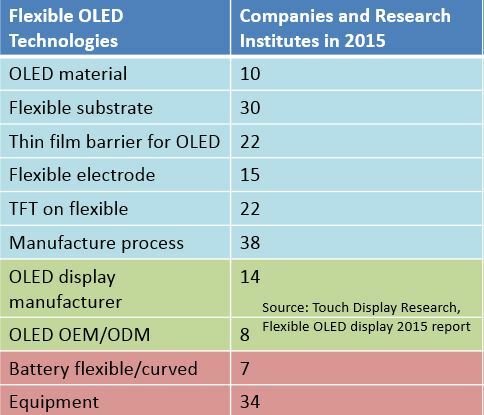 By Jennifer Colegrove, Ph.D., CEO and principal analyst, Touch Display Research Inc. This entry was posted in Augmented reality, automotive, Displays and tagged augmented reality, automotive market, SEMI on November 7, 2016 by jennycolegrove. In the park near where I live in Silicon Valley, California, I saw many people walking around holding their smart phone. They are playing “Pokémon Go” game and catching Pokémon’s. “Pokémon Go” is the most successful augmented reality game for smart phone in history. Over 65 million people have downloaded and are playing it in USA within one week of release. The “Pokémon Go” game is developed by Niantic Lab, which counts Google, Nintendo, etc. as its investors. The success factors of “Pokémon Go” game include the sensors and augmented reality. Several sensors are used in this game: GPS, camera-based image sensor, short-range wireless sensor (in the wearable Pokémon Go Plus). In the newly published “Sensors for Augmented Reality, Virtual Reality and Artificial Intelligence market 2016 Report.”, Touch Display Research analyzed over 20 sensor technologies for augmented reality (AR), virtual reality (VR), and artificial intelligence (AI) market. Touch Display Research forecasts that sensors for AR, VR, and AI market will be $97 billion in 2017, and will reach $160 billion in 2022. Over 200 companies working on sensors, emulators (learn about the Pokemon emulator), augmented reality (AR), virtual reality (VR) and artificial intelligence (AI), are profiled in the Excel database. This entry was posted in Augmented reality, Displays, Pokemon Go, sensor and tagged augmented reality, Pokemon Go, sensor on July 18, 2016 by jennycolegrove.